After nearly finishing this jumpsuit, you are expected to manipulate your sewing machine around all the fabric layers to sew the patch pockets on – how could you do this neatly and accurately? It is far easier to sew the pockets to flat fabric. In this instance I would attach them after the sewing the darts. It’s a bit hard to tell from this photo, but this is the upper end of an invisible zip – from the inside! I’m demonstrating how to fold down the upper seam allowance with end of the zip tape before turning it through. I never trim the zip tape – folding this way results in a neater, stronger finish. Moving on to the underside of a collar now – can you see how the top collar rolls slightly to the underside? This is good! The aim is to hide the joining seam from view when the coat is worn. Do you use your presser foot as a stitching guide? When I am understitching as in this photo, I line the inner edge of the foot up with the seam. And I often use the outer edge of the foot as a guide for topstitching at 6mm. This is an industrial presser foot, so your one might be a different width to mine. Note the ideal position on your foot for even stitching every time. This month featured tutorial is how to sew a perfect set-in sleeve. It includes lots of handy sleeve setting tips, with a bonus bit about tailored collars at the start! Terrific advice Sheryll. Yes, yes, yes to always completing as much of your garment flat as humanly possible. Must check out your set in sleeve tutorial. 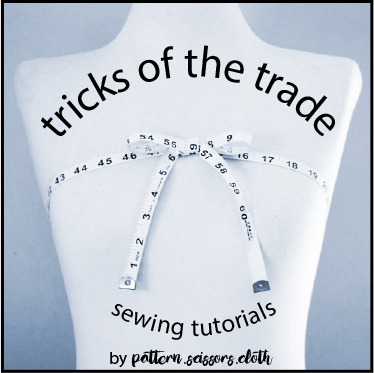 Yes – there’s no need to make sewing harder than it is! How does one get the collar to roll as in tip #3?